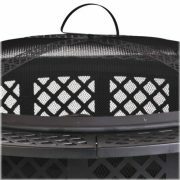 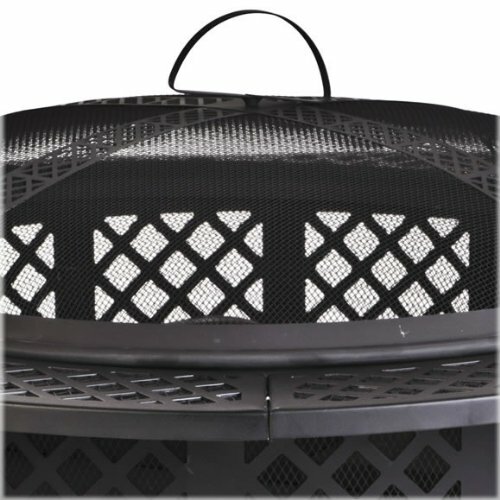 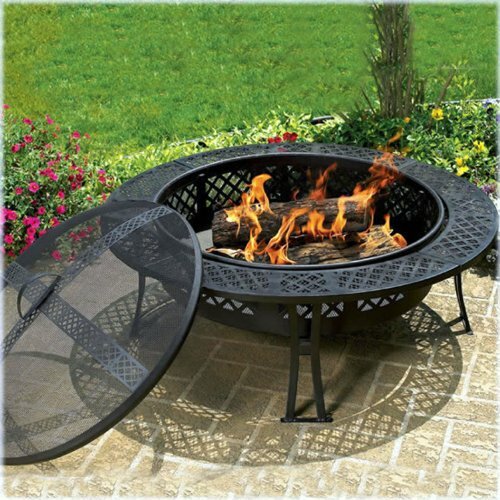 The CobraCo Diamond Mesh Fire Pit Screen and Cover is the best garden component for both summer and winter nights around the fire with family and friends. 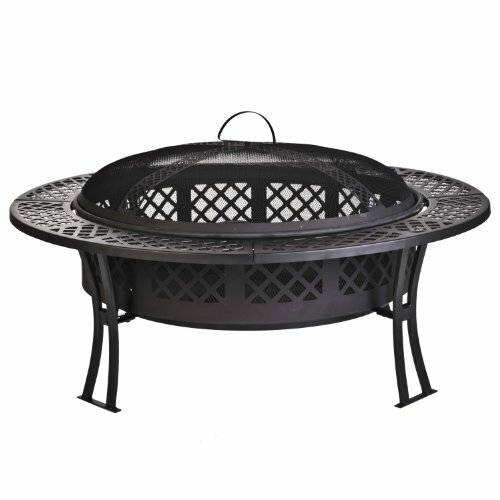 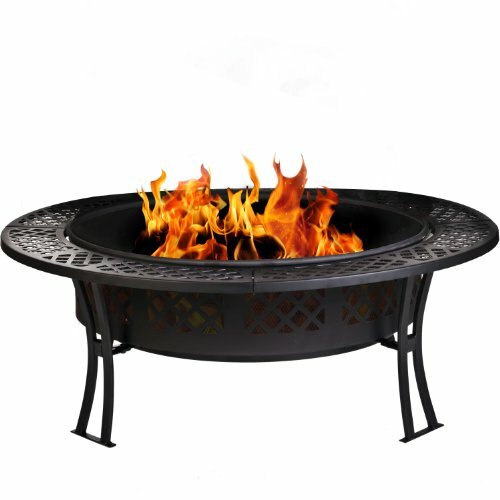 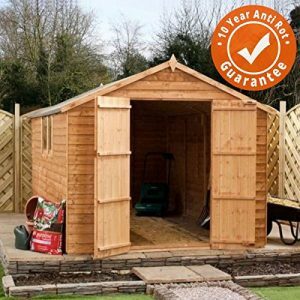 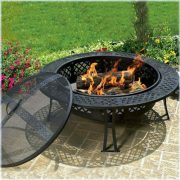 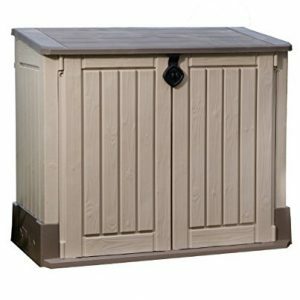 This Fire Pit is a sturdy steel construction, and its durability grants it a long life throughout all seasons and over the years. 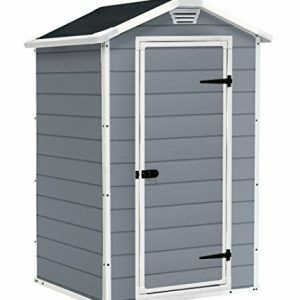 Its stylish diamond-grid design gives it a unique touch and classy effect, and the charcoal black coloring means it is easy to corporate into any garden design. 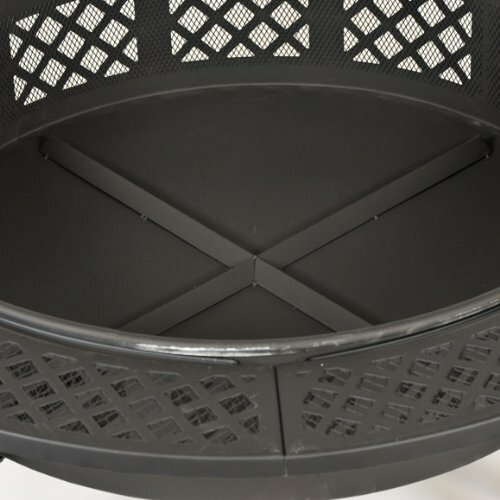 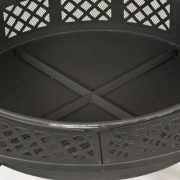 The CobraCo Diamond Mesh Fire Pit serves as both a functional feature, thanks to its highly effective warming properties, as well as a 5″ ledge for holding your drinks or snacks, and an ideal decorative item to sit along side garden furniture, on an empty patio or surrounded by chairs. 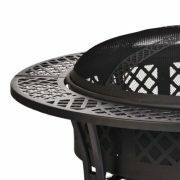 It’s easy to spend hours sat around a fire chatting away with friends or family, and the CobraCo Diamond Mesh Fire Pit ensures that embers do not spit out into the vicinity, thanks to the accompanying fire pit screen. 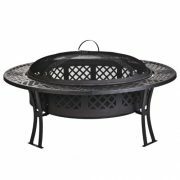 When you’re not using the fire pit, simply use the cover provided to keep it dry from the rain and free of autumn leaves.